The Helios Collection features the most advanced weatherproof, waterproof, impermeable and windproof outdoor fabrics and technologies, our fabrics are further treated and coated to ensure our Quality is unmatched. Our products are proven and tested to withstand with most frigid weather conditions whether your hiking in the sun or walking your pet in the colder weather - our products can withstand below zero temperatures and hurricane forced winds. Helios's fabrics feature patented Blackshark Technology fabrics as well as DUPONT and 3M reflective fabrics. 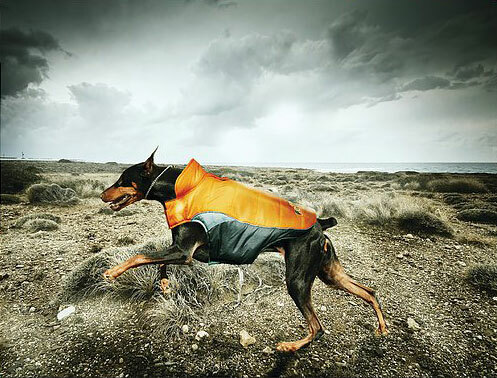 Helios Dog is an outdoor, camping, and protective Inspired ultra-premium higher-end brand sold in multiple countries. Helios products are proven and tested to withstand with most frigid weather conditions whether your hiking in the sun or walking your pet in the colder weather - Helios products can withstand below zero temperatures and hurricane forced winds. Helios's outdoor collection feature Full-Bodied protective winter coats to outdoor sporty harnesses, leashes, collars and camping beds. Comparable to North Face or Spyder with added functionality.